Yugaparivartan carried out a big expose on evangelist roots of Audrey Trushke and how it explains anti-Hindu bias in her studies. After all one needs some ulterior motives to whitewash crimes of a religious bigot like Aurangzeb, something that Truschke has been happily doing for the past some time. She got a good chance last year to hog the limelight when the government decided to change the name of one of the roads in Delhi named after Aurangzeb. This gave ample opportunities to sold out mainstream Indian media to interview Truschke and use her to paint a rosy image of Aurangzeb as a benign ruler, who was not always driven by religious hatred. 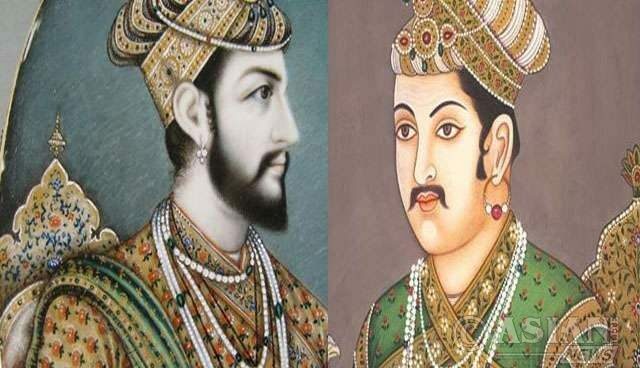 This worked pretty well, except that Indian Muslims will be pretty offended by this whitewashing as they put Aurangzeb on high pedestal due to his bigotry and non-sensical attitude towards killing kafirs. But that is a debate for some other time as this article is about the response this expose got among some of the so called Indian RW. The Indian history written by Marxists for the past 70 years should leave no doubts in the mind of any sane reader that the whole field of history writing is wide open for pushing political agendas. There is a serious conflict of interest between one’s political ideology and history writing. The big names in the field, usually propped up by the state and allied institutions, might claim neutrality but any careful reading shreds down this narrative very quickly. The fake neutrality of so called acclaimed historical scholars like Irfan Habib and Romila Thapar has only now started to come out with their open hostility to facts that supported presence of temple under the Babri Masjid. The so called scholars did not stand any chance in the court but tried all they can to deny archaeological evidence in favour of Ayodhya temple outside the court. It is only now that old skeletons and their anti-Hindu bias is finally coming out in the open with some archaeologists like KK Mohammed giving evidence for their open hostility towards the Hindu cause and attempts to suppress archaeological evidence in favour of temple. The Babri issue would have been settled long ago if the Muslim intelligentsia had not fallen prey to the brain washing by the Leftist historians. A set of historians including Romila Thapar, Bipin Chandra and S Gopal argued that there was no mention of the dismantling of the temple before 19th century and Ayodhya is Bhudhist-Jain centre. They were supported by historians Irfan Habib,RS Sharma, DN Jha, Suraj Ben and Akthar Ali. But how is the above story related to the expose on Truschke. It highlights the fact that true scholarship might need to wait forever against a biased and well entrenched academia. The entire leftist historian cabal suppressed the true findings from Ayodhya excavation for more than three decades and got away with it without any serious repercussions. Romila Thapar and her ilk still control most of the current academic departments and historical research in India and got plum posting for peddling the agenda of the anti-Hindu Congress. This only highlights that historians can go to any extent to suppress the evidence in order to placate their masters and implement biased agenda. These “scholarly” espousals are very amusing. The most scholarly of Hindu viewpoints have been ignored and trashed without a wince. Not even the greatest amongst these historians is taken as reference in school text books. And then there is the devious IED technology called “peer review”. Any Hindu scholar stepping on it will get blown up. We all know IEDs don’t differentiate between scholars and non-scholars!! The stark truth is knowledge has diversified. It has more diggers, seekers and propagators amongst the lay than at any other time in human history. Most of these good people have zero access to traditional platforms for a scholar. No university, no Chairs, no Departments and no Funds. Propagandists infesting these scholarly seats is not a new phenomenon. It was always the case but now it is more easily exposed. “Writing a scholarly rebuttal” is an old trap and is probably not required in many cases. In many cases it is just reinventing the wheel as well as merely indulging obvious scholarly propagandists. It gels well with the self serving world of “scholarship” and has not really helped Hindus against the entrenched scholar mafia. For example- Sita Ram Goel did well documented research on destruction of Hindu temples under the Muslim rule in India, but his work is hardly referenced in current academic institutions. So unless the bias of entrenched mafia is brought out in the open, there is no way that serious Hindu scholarship will ever get any traction in mainstream institutes. This is not to say that serious scholarship is not needed, but it only highlights the fact that sticking to rules of the game laid down by the entrenched mafia will only make the Hindus go around in circles trying to satisfy some imaginary criterion while biased scholars like Trushke will devote their full energy to churning out more half-baked theories rather than defend their biased scholarship and motives. A frontal attack on credentials and family history of these scholars on the other hand will force them to devote sufficient amount of their time and energy on defending their position rather than take their position in the scholarly circle as granted. @prasannavishy Ludicrous. How is what her father in law does relevant to debating her scholarship? It is even more surprising that such defence of Trushke is being offered by those who are otherwise well versed in economics and understand the concept of conflict of interest. If Trushke had been in the financial industry, in most of the cases she would be forced to openly cite her background information when dealing with financial matters that can directly benefit her family. In the current case, her family is engaged in mass conversions in India and so it is obvious to raise questions on her beliefs, which biases her work on religious studies. It is a case of conflict of interest because her work is used to denigrate Hindu civilization, which indirectly helps in the conversion agenda of her family and other evangelists. While her work can be debated and debunked but that does not in any way diminish the proof against the bigotry and bias she brings to comparative religion studies due to her evangelical roots. Thus the way forward for internet Hindus is to dig deep into background of other Hindu haters in the western academia and trace the roots for their hatred. The same also holds true for many of the current elites entrenched in Indian academia and media. It will need consistent effort on the part of Hindus to dig into the backgrounds of many of these people to know their true motivation behind denigrating Hindu civilization. Although many Hindus are more than happy to pimp themselves for acceptance into the western dominated Lutyen’s cabal, it is still a worthwhile exercise to expose many of the crypto-Christians and Islamists whose entire careers are based on hating the dominant Hindu culture. This fight against Chrislamists needs to be fought on all levels and one cannot leave it to university departments, because if truth had found its way in scholarly debates then Hindus would have already won this fight long time ago.